The next Sabbath nearly the whole city assembled to hear the word of the Lord. But when the Jews saw the crowds, they were filled with jealousy and began contradicting the things spoken by Paul, and were blaspheming. Paul and Barnabas spoke out boldly and said, “It was necessary that the word of God be spoken to you first; since you repudiate it and judge yourselves unworthy of eternal life, behold, we are turning to the Gentiles. But the Jews incited the devout women of prominence and the leading men of the city, and instigated a persecution against Paul and Barnabas, and drove them out of their district. But they shook off the dust of their feet in protest against them and went to Iconium. Are believers who live under the law generally joyful people? Instead of God’s truth, with what did Satan fill the hearts of those who believed that justification before God could only come through keeping the law of Moses? Do you think that they were sensing a loss of influence and control? Last Sunday at church, Pastor Randy preached from Acts 13:42-52. I was impressed that Pastor was able to give a sermon on such a potentially inflammatory set of verses in a way that expressed great sensitivity for the Jewish people, and correctly identified (in my opinion) the source of the “irritation” expressed by some of the Jewish leadership in the Pisidian Antioch synagogue upon witnessing vast crowds of pagan, idol-worshiping Gentiles flood into shul to hear Paul speak. My Sunday School class discusses Pastor’s sermon after services (the church offers multiple classes on Sunday on a variety of subjects, but I chose this one since for me, the highlight of going to church is the sermon), and in going over my study notes the day before, I knew there could potentially be some problems. I wasn’t looking forward to class and once it started, I didn’t know exactly what I was going to say. No, no one spoke against the Jewish people, but the language of Christians talking about “the Jews” has been crafted over many centuries and there seemed to be an echo of that language in my study notes. If I hadn’t known better, I probably would have been concerned a time or two in class. Actually, I did become concerned, since the teacher inserted the assumption that part of the reason “the Jews” in Antioch became upset, was because Paul was teaching that the grace of Christ replaces a life “under the Law” for Jewish believers. 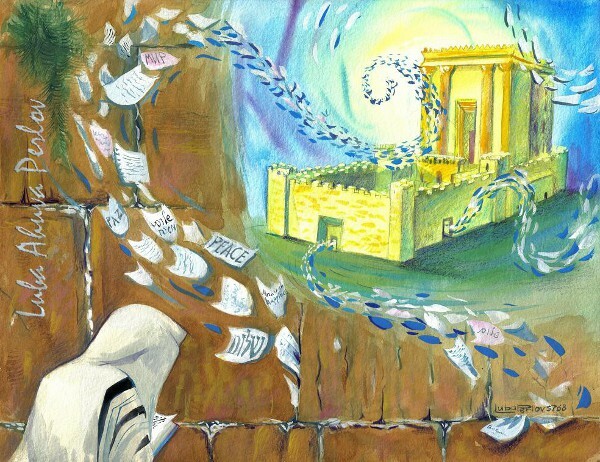 The Torah of Hashem is perfect, restoring the soul; the testimony of Hashem is trustworthy, making the simple one wise, the orders of Hashem are upright, gladdening the heart; the command of Hashem is clear, enlightening the eyes. Does that sound like the Psalmist thought the Torah was a burden? That’s the question I asked the class. Pastor, in his sermon, bent over backwards to illustrate that saying “the Jews” in this context, would be highly insulting and would not accurately reflect what was happening in the Antioch synagogue. Not literally every Jewish person turned against Paul and Barnabas and no, Paul did not permanently turn away from bringing the good news of Messiah to Jewish people and take it only to the Gentiles from that moment on. And there’s nothing in the text of Acts 13 that tells us Paul spoke against the Torah. It’s sections of scripture like this one that have been used by the church to berate, denigrate, harass, and persecute the Jewish people for centuries. Although I didn’t get any push back at all in class as I made my points, I had to be sure that the people I’ve been studying with for over half a year weren’t misunderstanding this portion of Acts 13 based on long-standing Christian tradition (yes, Christians can interpret scripture based on tradition, too). I don’t believe they were, but it was one of those moments in church that helps me realize we have a long way to go in healing the rift between traditional Christianity and the Jewish people. We are now entering the Three Weeks, the time between the 17th of Tamuz (observed Tuesday, June 25th) and the 9th of Av (starting Monday day night, July 15th). This is a period when many tragedies happened to the Jewish people. Why do we mourn the loss of the Temple after so many years? What did and does it mean to us? The 17th of Tamuz is a fast day. The fast begins approximately an hour before sunrise and continuing until about an hour after sunset. The purpose of the fast is to awaken our hearts to repentance through recalling our forefathers’ misdeeds which led to tragedies and our repetition of those mistakes. The fasting is a preparation for repentance — to break the body’s dominance over a person’s spiritual side. One should engage in self-examination and undertake to correct mistakes in his relationship with God, his fellow man and with himself. You might think I’m being overly sensitive about all this. I suppose some of the people in Sunday School class might think that of me. I couldn’t see all the faces around the room as I was speaking, so I can’t gauge how each person was responding. I can only tell you that no one disagreed with me out loud, and in fact, a few people spoke up in support of my statements. Rabbi Packouz, while reminding me of the terrible tragedies and losses that have befallen the Jewish people and how Israel is once again entering a time of national mourning, also helped me realize that for every descent, there is an ascent, and every wound offers an opportunity for healing. Sara Debbie Gutfreund also wrote about the 17th of Tammuz but from a much more personal perspective. A few years ago my grandfather passed away right before the 17th of Tammuz. On the fast day I was helping my mother as she sat shiva and an old family friend offered me a drink. “No thanks, I’m fasting.” I said. “What are you fasting for?” he asked. So I explained that it was the 17th of Tammuz, and we were mourning the day that the walls of Jerusalem were breached before the Second Temple was destroyed. So where is the uplifting part of the story. I promise you that there is one. Last night, my son, who is named after my grandfather, was standing with me on the deck. “Why is the world so big?” he asked me as we gazed up at the towering trees and the endless stretch of star-studded sky. And as the fireflies began to light up the dark corners of the yard, I thought that it must be true. The darkness is here for us to create light. The brokenness is here for us to learn how to make ourselves whole. And the Western Wall – all that’s left – is so much more than just a remnant of our past. It’s there to remind us to rebuild. It’s there to hold our crumpled notes and dreams. It’s a gift. Like the gap between the waves that pulled me in and brought me back to shore. Like the saltwater that poured down my face and the sand that blurred my eyes. Like the silence that gives us a chance to find our own words. Like the hugeness of the world that makes room for us to grow. Like the man who put down his drink and said. “I think I know why there’s a fast.” There’s a gap. In our hearts. In the crevices of the Wall. But the gap is the gift. And all that’s left is the extraordinary opportunity to fill it. I amazes me that a people and a nation who have suffered so much can continue to bounce back and not only to survive, but to live, and grow, and embrace the God of Jacob wholeheartedly. 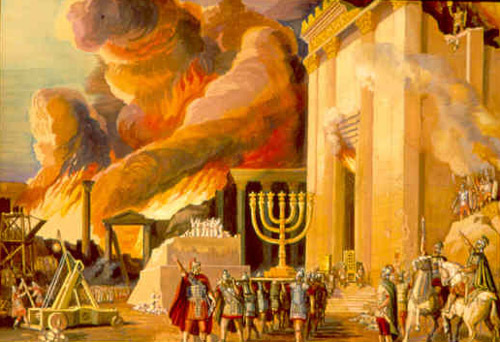 As Napoleon was supposed to have said, “Certainly a people which has mourned the loss of their Temple for so long will survive to see it rebuilt!” Nietzsche’s statement “If you have a ‘why’ to live for, you can bear with any ‘how'” is well and appropriately applied to the history of the Jewish people. 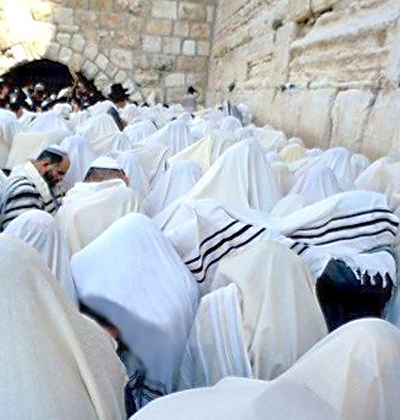 The Kotel or what some people refer to as “the Wailing Wall,” is all that there is left of the Temple at present and in the crevices, people insert written prayers to God. The Jewish people fill the gaps in their existence with their faith that one day, God will answer their prayers and send His Messiah to restore them as a people in their Land, to redeem Israel, to raise her up, to give her a King who will bring peace to all the world. The gap between Christianity and Judaism gives me the opportunity to help fill it with who I am as a believer and what the Jewish Messiah King means to me. I can fill the gap as a Christian man who has been married to a Jewish wife for over three decades, who has raised three Jewish children, and who is sensitive to what Christians have traditionally said and believed about the Jewish people based on some misunderstood portions of the scriptures. Not something to dread, but an opportunity to help educate and to introduce a balance (though it probably wasn’t needed much in this case). But like many Jewish people are doing right now, part of me grieves the losses, even as I know there are gains. It’s going to get worse for our world before it gets better. There will be battles. There will be heartache. There will be a need for courage. We will need to fill the gaps that God has left us because that is helping to repair the world, tikkun olam. That is part of bringing the return of the Messiah. Part of the gospel message is the promise of personal salvation for anyone who believes. But the especially good news for the Jewish people is that when Messiah returns, he will redeem and restore national Israel, rebuild the walls of David’s fallen sukkah, and bring peace between the Jewish people and the people of the nations who are called by his name. And beyond what Rabbi Packouz and Ms. Gutfreund reminded me of, I remembered Boaz Michael’s message in his book Tent of David. It is true that, as my friend Tom once said, I’m ultimately seeking not Christianity or Judaism, but an encounter with God by returning to church, but I am also seeking the vision of Boaz Michael in healing the “crevices in the wall” between what Christianity has largely become, and what Messiah truly wants us to be. My, what strange (foreign, alienated) questions! I’m referring, of course, to those you cited from your Bible Study Class notes. I’m not even sure I understand what was intended by some of the terminology in them. For example, “Are believers who live under the law generally joyful people?” When the writer cited “believers”, was it non-Jews who accepted what “Paul and Barnabas” were saying who were in view? Or was it the local Jews who believed who are in view? Since the question is phrased in present tense, are the “believers” in question presumed to be modern individuals, and are they non-Jews or Jews? What is thought to be the meaning of the phrase “under the law”? Is any consideration given to other positions with respect to law in general or Torah in particular besides “under”? Have the class members who are expected to consider this question ever known any such people, let alone having known enough of them to form a generalization about their joyfulness or lack thereof? Your citation of Ps.19:8-9 would seem a reasonable attempt to suggest that the answer to the question ought to be affirmative if the “law” in question is actually a reference to Torah, though it can’t help to answer the question that presumed practical personal experience or familiarity. Now, the second question is simply ignorant and presumptuous: “Instead of God’s truth, with what did Satan fill the hearts of those who believed that justification before God could only come through keeping the law of Moses?” The text of Acts says nothing about Satanic involvement, but only reports what some humans did. It does not address the issue of human volition or external influence. Further, it is not a Jewish doctrine to “[believe] that justification before God could only come through keeping the law of Moses”. Now, following the Torah instructions of repenting, offering prescribed sacrifices, and receiving atonement and forgiveness might be construed as “keeping the law of Moses” (at least a part of it), but that is not the same as a notion that generally behaving in accordance with Torah somehow totals up a score to earn justification. It is, however, a common Christian misrepresentation and calumny against Jews; and if the writer of the question is available to receive correction, I recommend doing so. Failing that, the best recommendation would be to alert the class to the error. I suspect that it was the third question that you found somewhat insightful: “Do you think that they were sensing a loss of influence and control?”. It’s a good question, though answering it would require particular political knowledge about how much influence the Jewish community in Pisidian Antioch had relative to the whole city that seemed to be widely embracing the message they had heard. Nonetheless, a significant question that was not asked might consider whether their “jealousy” might have been related to a zeal for what they perceived as a proper representation or interpretation of Torah, similar to that which originally had impelled Saul of Tarsis to persecute followers of “The Way” sectarians. One can sympathize with folks who seem to be trying to do what is right, even when they are wrong, while one is less likely to be compassionate toward folks who are perceived to be petty and self-serving out of jealousy over a loss of status. All this is why I felt it necessary to inject my own point of view in the class. It’s not as if the other people in the Sunday school class were overtly anti-Jewish, but hundreds of years of Christian Protestant tradition has so colored how many Gentile believers read the Bible, that it never occurs to them how the wording of such questions could be a problem (the Sunday school teacher borrows heavily from material produced by John MacArthur which my be part of the issue at hand). For the record though, during his sermon, Pastor did say that the “jealousy” was indeed related to their zeal for Torah and deep concern about the impact of a sudden surge of idol-worshiping Gentiles in their synagogue would have on the integrity of the Jewish community. Of course Paul was critical of the response of the Jewish people who were inciting “the devout women of prominence and the leading men of the city, and [how they] instigated a persecution against Paul and Barnabas.” Unfortunately, in these certain Jewish people rejecting Paul’s gospel that allowed Gentile inclusion into “the Way” without conversion to Judaism, they necessarily were rejecting the good news of the Messiah (in Acts 14:21, Paul and Barnabas returned to Antioch to “strengthen the souls of the disciples,” and I believe those were Gentile and Jewish disciples, so it wasn’t as if the Pisidian Antioch Gentiles accepted Messiah but all of the Jewish population did not).